WARSAW – 17 February 2016 – Prologis, Inc., the global leader in industrial real estate, today announced full-year 2015 activity in Central and Eastern Europe (CEE). The company leased 1.75 million square metres in 2015, which is similar to 2014’s record-breaking figure. New lease agreements accounted for 618,000 square metres and lease renewals for 860,000 square metres, with the balance short-term agreements. Demand continues to be driven by reconfiguration of the supply chain, trade and e-commerce. Prologis ended the fourth quarter with a very high 95.4 percent occupancy of the company’s operating portfolio, confirming the stabilisation of the market and strengthening of Prologis’ position in CEE. Importantly, Prologis achieved one of the highest customer retention rates in CEE in the company’s history, amounting to 87 percent at the end of 2015. At year end, the company’s operating portfolio was 4.17 million square metres, an increase of 4 percent over the course of 2015, despite the disposal of Prologis Park Bucharest A1, which totalled 107,000 square metres. Adding developments and value-add acquisitions, the portfolio was 4.33 million square metres at the end of 2015. “Our impressive customer retention and portfolio occupancy rates confirm our strategy, which focuses on selected markets, development and the highest quality of services,” said Martin Polak, senior vice president and regional head for Prologis CEE. In 2015, Prologis started 10 developments in undersupplied markets across the region. Totalling 200,000 square metres, 46 percent of the development space was build-to-suit and 54 percent was speculative. 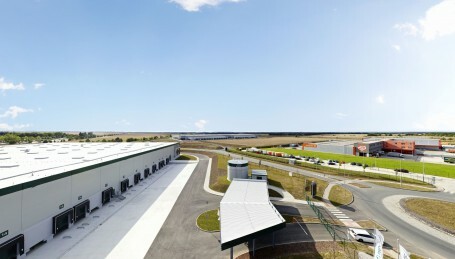 The majority of the developments were in existing Prologis parks located in core logistics markets. In 2015 Prologis acquired six buildings, totalling 97,000 square metres, and 14 hectares of land in the Czech Republic and Hungary. These acquisitions were in line with the Prologis strategy of investing carefully in global markets. During the year Prologis sold portfolio in Romania totalling 107,000 square metres. “We expect that demand in 2016 will be stable and result in further steady development of the industrial real estate market in the whole region,” Polak added. “The investment level should also remain constant, with speculative facilities at least already 30 percent pre-leased before construction starts. A dynamic increase in e-commerce, which is currently the fastest growing group of customers, combined with further expansion of the retail and automotive sectors, will be driving demand this year”.